Decorate your Minecraft bedroom with these super easy Minecraft block picture frame. 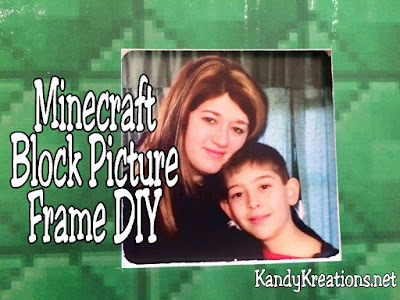 In only five minutes you'll have a great frame that will match your Minecraft room décor. 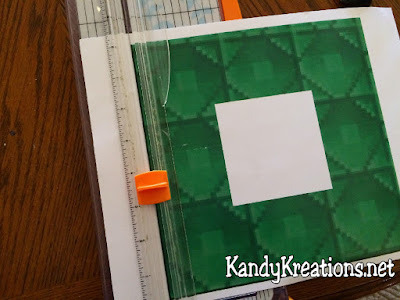 Continuing in the decorating spirit of Minecraft, I made some fun and super easy Minecraft block picture frames for Mini Me's room. 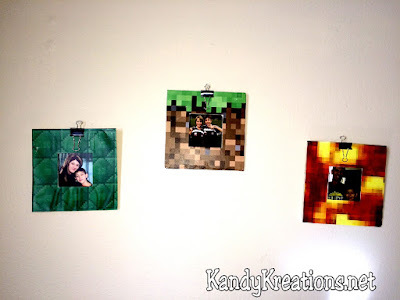 He wanted to have pictures of his brother and sister who are both off all college now in his room for when he misses them, but we needed the frames to match the Minecraft bedroom. We looked everywhere, and then decided to make our own. 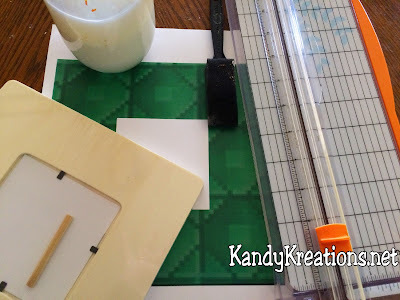 To make these picture frames, we gathered up a printed picture of a Minecraft block (I just went on google and searched for pictures of the blocks and then let my son pick which ones he wanted), a square wood picture frame from the craft section at Walmart, some Modge Podge, a foam brush, and my handy dandy love it so much paper cutter. Print your Minecraft block onto card stock so that it measures 6 inches by 6 inches with a 3 1/2 inch block in the center for the picture. 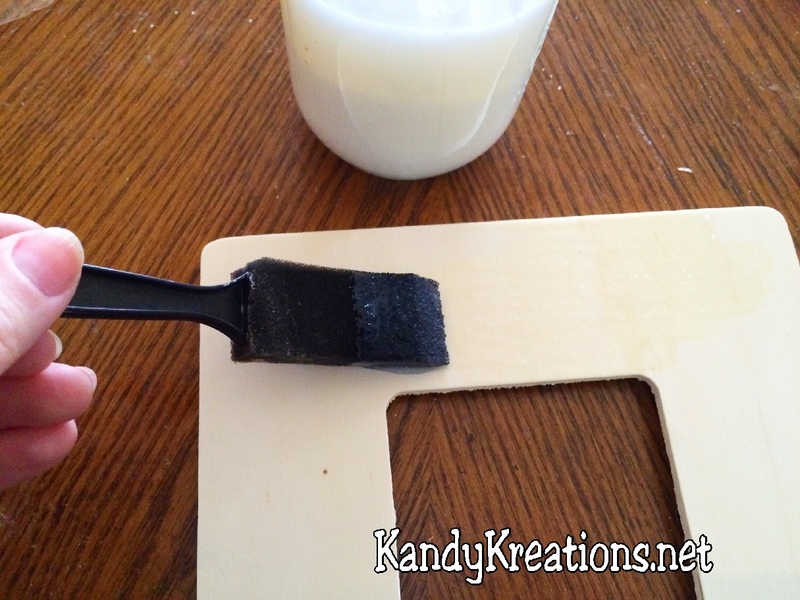 Cut out the block and the center opening. Paint your frame with Modge Podge generously. Add the Minecraft block and press securely. It helps to turn it over and place some heavy books on top while it dries. 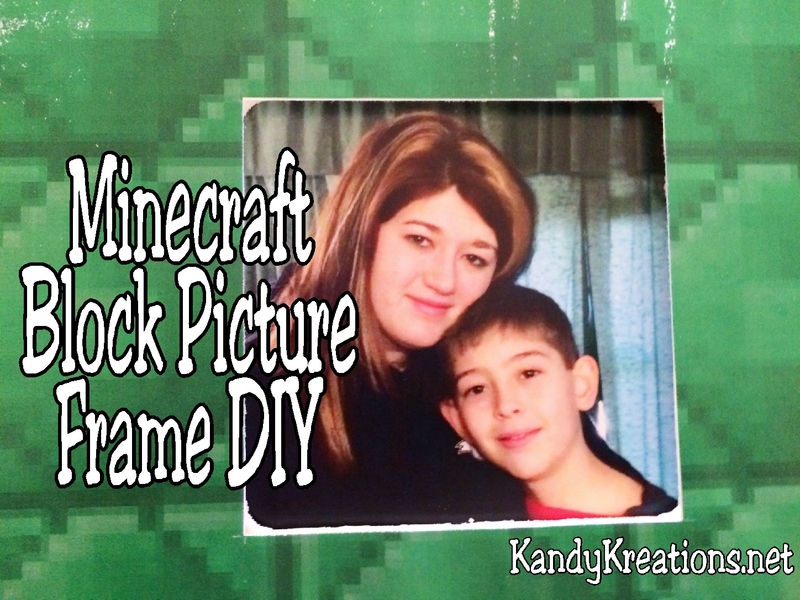 Add your picture and hang!